Haugesund – Stabaek predictions for Norway Tippeligaen match at Haugesund Stadion. The hosts probably will win, but still concede goal. Read on for live streaming info and our free predictions. Do you want to watch live streaming of Haugesund – Stabaek bet live? 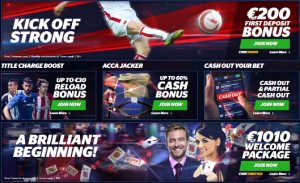 Go to bet365 Live Streaming and place winning bets! Stabaek left for a summer break in good form, the team managed to break a streak of four consecutive defeats, taking seven points in three games and scoring two goals in each. The Blue Ones managed to beat Sandefjord on the road and after a month’s break they played again with the same opponent, this time at their stadium, and suffered a crushing defeat. Obviously, the summer break did not benefit Stabaek and the team in crisis again. They have little chances for success today, because the guests traditionally fail in the matches with Haugesund. In recent history, the Arabs lost their rival only once! Given the home club current form, they must take three points without problems today. After the terrible spring results, Haugesund gain momentum and demonstrate high level football all summer – the team suffered only one defeat in seven games, losing to Sarpsborg on the road 2-1 last round. Before that they have four wins to nil, and were ale to beat even Rosenborg! The Arabs have amazing home records – they have lost only one home game this season, moreover, they managed to keep clean sheet in six of their eight games! Considering all of the above, the home club must win today. But no matter how unsuccessful Stabaek plays in Haugesund, this club is very solid in offensive line now and will be able to score, because the Blue Ones fourth away team of the league and have scored in all away games except one.